What's really cool about Cafe Spice (besides the fact that they make Indian food accessible and easy to cook), is that the company has partnered with Whole Foods' Whole Planet Foundation. The partnership helps support microloans to impoverished entrepreneurs around the globe to support innovation and break the cycle of poverty. Also a cool point to note is that both entrees rank on the Global Animal Partnership's five-step ranking of animal welfare. The meat used to make both entrees was raised in an enriched environment without cages, crowding, and crates. For more information about this animal welfare organization, click here. While the four entrees I spotted at Whole Foods were gluten-free, two of them were dairy-containing (chicken tikka masala and saag paneer). As such, I came home with the remaining dairy-free entrees: the chicken curry and chicken vindaloo, both with lemon rice. Each package contains two servings, and can be made using a microwave or on a stovetop. While both entrees do not contain the top eight allergens, they did contain mustard seeds, so do take note of those are restricted from your diet. Microwaving the entrees was an easy affair. In five minutes flat, I had a steaming plate of Indian food to enjoy. The chicken curry, the milder of the two, had a complexly seasoned curry sauce that was spicy but not hot. I loved the slow-roasted texture of the sauce, and the tenderness of the chicken, both of which made me fall in love with Indian food in the first place. The rice, mixed with chana dal, urad dal, and seasonings, added just enough flavor to make it stand out and still play well with the entree. 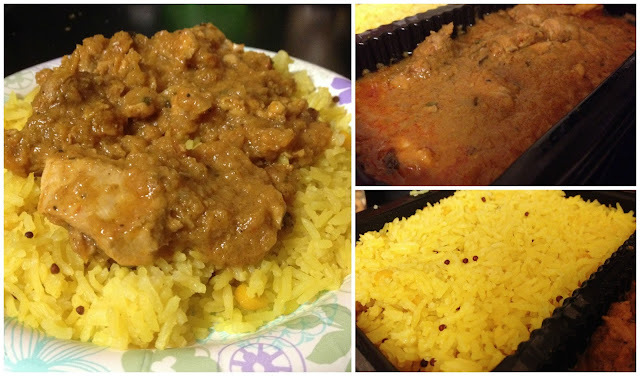 When I enjoyed the curry as leftovers a day later, I loved how the rice soaked up all the delicious spiciness of the sauce, which made the meal just as good the second time around. 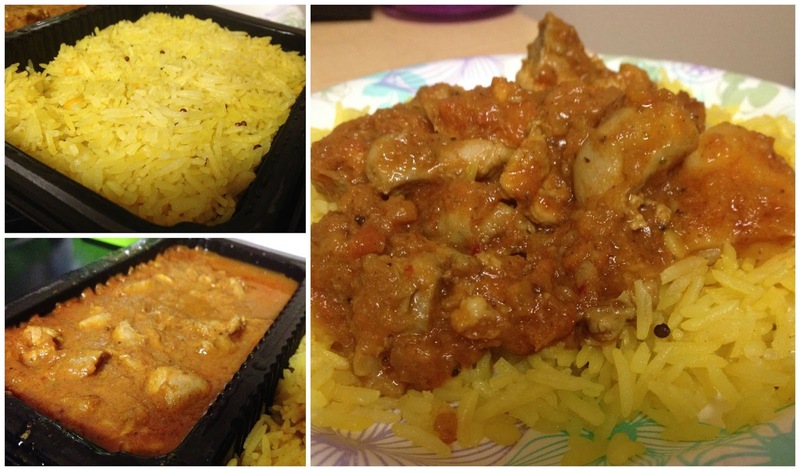 Next up for a taste test was the chicken vindaloo, which was marked as hot on the packaging. Just as with the curry, the sauce was spicy, this time with more heat, but was less spicy than I was expecting. Tender chicken and potatoes were slow roasted to perfection, and the accompanying rice paired just as well with this entree as it did with the curry. Both entrees were truly delicious and a top notch comfort food. I sorely regretted not buying more of the entrees when I had the chance, and will definitely stock up on my next Whole Foods run. In the future, I'd like to see more of Cafe Spice's entrees, soups, and other ethnic foods come to local store shelves because these two entrees were some of the best prepared foods I've had in a while. For more information about Cafe Spice, you can check them out over on their website. Disclaimer: This review is current to the original publication date. Updates will be noted. Ingredients and manufacturing processes can change without notice. Each product should be reviewed for individual nutritional needs. Feel free to to contact me with any questions or comments. I purchased this product independently, and the review is a reflection of my personal opinion.